In times of difficulty, true heroes emerge. Heroes sacrifice their time and even their personal safety to help others. United by empathy, their legacies are eternal. This is the story of Zygmunt Lakocinski. 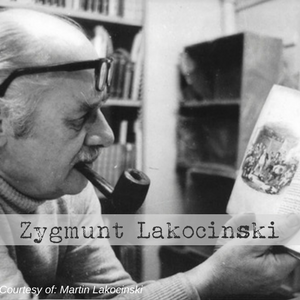 Zygmunt Lakocinski was a Polish lecturer at Lund University in Sweden. The Polish government in exile asked him to gather information about Nazi atrocities in Poland and other occupied countries. Lund became the center for the collection of all material where an archive and library were set up. Throughout the war, valuable information was forwarded to the Polish government in exile and the Allies. The Holocaust victims first arrived in Sweden in April 1945. There were many Polish women rescued from the Ravensbrück concentration camp. Zygmunt Lakocinski offered to interpret from Polish to Swedish. The women told him that they had smuggled papers and secret documents from the concentration camp. They also brought objects that they had made, received, or found. During their internment, they had hidden the items under their clothes, shoes, in the barracks, or under straw mattresses. Lakocinski immediately knew it was important to preserve these items as evidence in the future. He had the insight to understand the value of these women’s stories for future generations. Zygmunt Lakocinski created what is now known as The Ravensbruck Archive. His foresight helped convict some of the Nazi war criminals in the Ravensbruck trials held December 1946 through January 1947. Because of Zygmunt we now have incredible first-hand stories of what the women at Ranvensbruck had to endure. Through the power of the women’s stories, we can ensure that the atrocities never occur again.